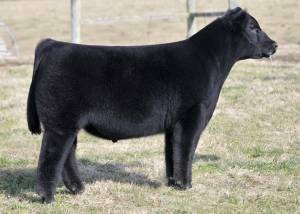 Ard Ridge Farms has produced a cool fronted Monopoly son who is ultra sleek profiled! His progeny are, of course, eligible to be Chi registered. He’s a unique breeding piece and we look forward to his first calves in 2014.